I love the color of this Sapphire! I would like to say it is orange (which it says in the description) but in real life the color is complex. It is very bright and sometimes it looks almost red. 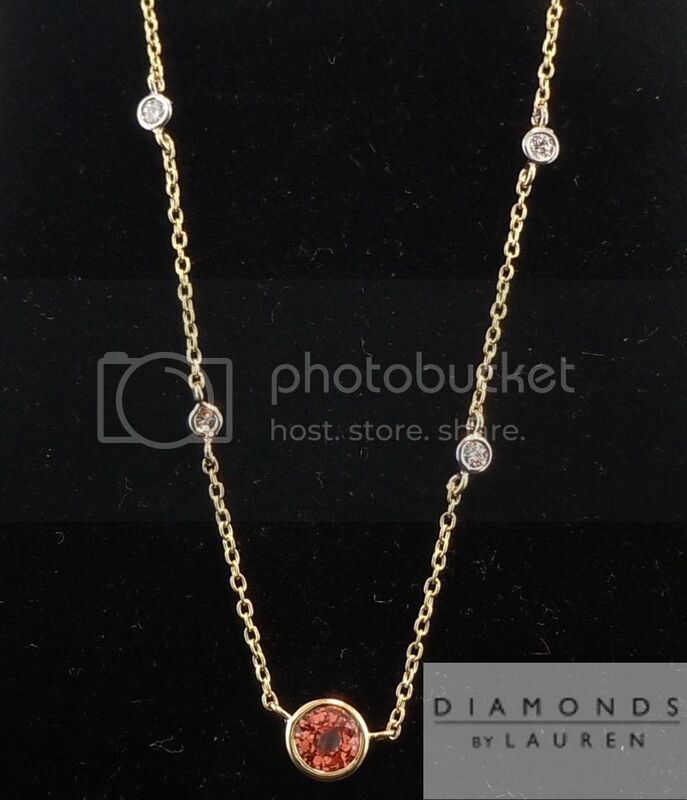 We set in a 16 inch 18kt Yellow Gold diamonds by the yard necklace.